The city’s school district is rehabilitating the elevated playground at School 9 and the parking garage underneath. School officials awarded a $429,786 contract to M & M Construction Technology of Staten Island last Wednesday. 90 contractors were solicited for the job, 3 responded, according to the district records. 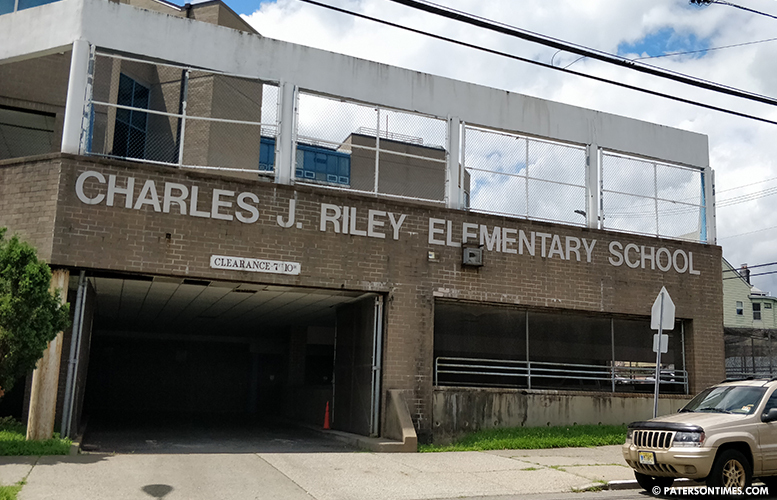 “This is a SDA funded project,” said Steve Morlino, director of facilities at the Paterson Public Schools, referring to the New Jersey School Development Authority. Morlino said the elevated playground will be completely rehabilitated and the garage will receive “extensive” work. “That playground has been in very very bad condition,” said Al Abdelaziz, councilman for the 6th Ward, where the playground is located. He said it’s been in that state for years. He is glad the district is investing in repairing the playground, he said. Staff members will not be able to use part of the garage while repairs are underway. Morlino said staff will be allowed to park their vehicles at the district’s central office parking lot at 90 Delaware Avenue, half-mile away. Morlino said staff will then either walk or be shuttled to the school on Timothy Street. School officials did not mention an estimated completion date on Wednesday. “This will go into the school year,” said Morlino.